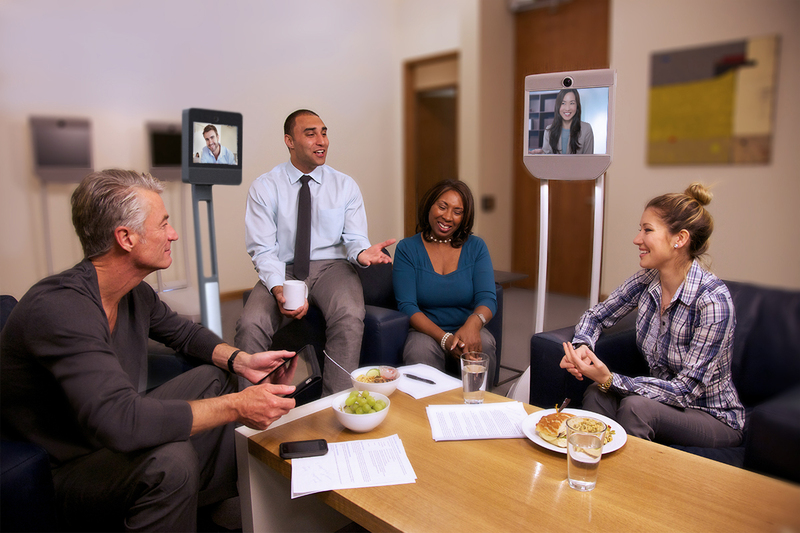 It is now possible to be present and available for your remote colleagues. 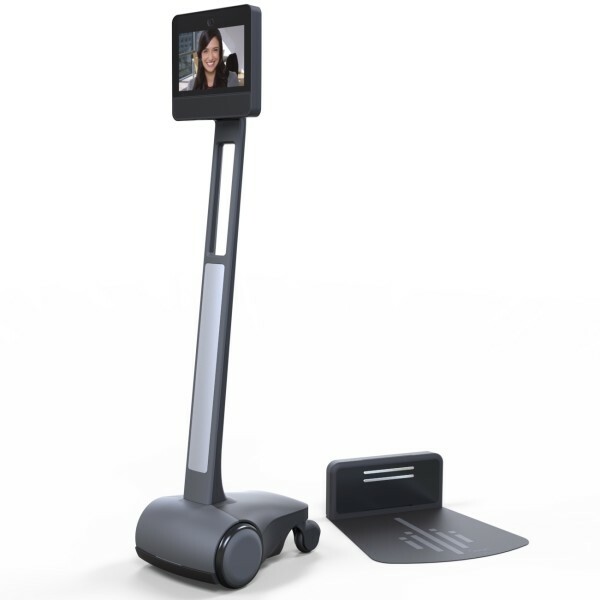 Discover BEAM, the mobile telepresence robot for remote management. Share in your teams’ everyday activities, even when you’re travelling! The challenge: to be present for your colleagues wherever you are! When you have a busy schedule, important responsibilities and a frequent need to travel, a hands-on management approach is not always simple. But despite that, your team counts on you, on your presence, your commitment, your reactivity, especially at times when strategic decisions have to be made. wasted your time looking for a room equipped for teleconferencing or trying to find a time when all your different colleagues can meet? felt forgotten or been unable to make your mark at a meeting that you participated in by telephone or videoconference? All these situations are no longer acceptable in the age of the digital transformation, which demands agile remote collaboration. 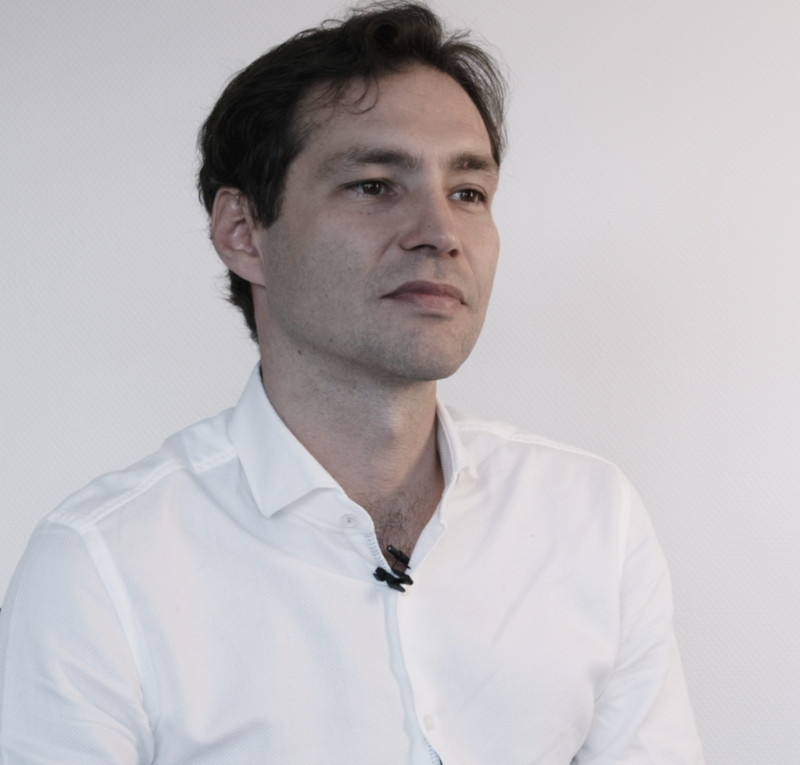 Employee management: create a relationship, even when you’re far away! 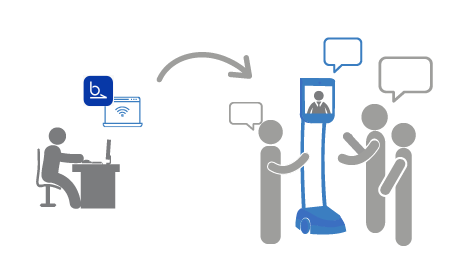 Bring agility, spontaneity, and proximity to your everyday interactions thanks to the BEAM mobile videoconferencing solution. For formal AND ALSO informal discussions with your colleagues, for ordinary and stand-up meetings, etc. 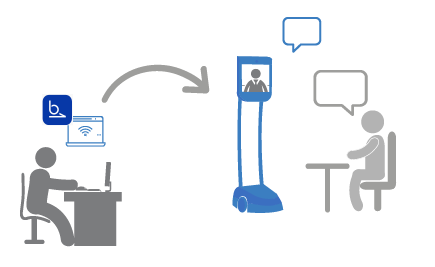 In this way, the BEAM mobile telepresence solution embodies the user like no other approach to videoconferencing. In line with the new working methods, this remote management tool gives you the freedom to move independently around the remote site. You can talk to whoever you want, whenever you want, without being dependent on your discussion partners. For formal and informal exchanges! For classic meetings AND stand up meetings! “I felt I was isolated from my teams. I used to travel a lot and still do quite a bit. However, I’ve been able to cut down on my journeys thanks to BEAM. BEAM has allowed us to boost our energy levels and also to increase the frequency and quality of our contacts even though we are still in touch remotely. 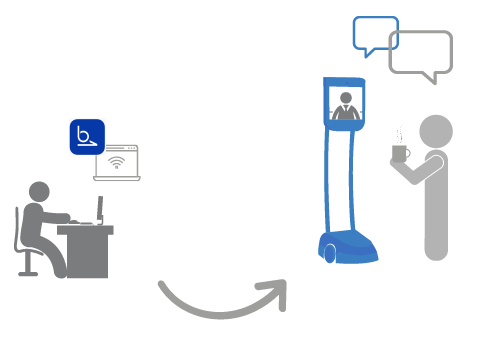 Designed by Suitable Technologies and distributed by Awabot, Beam+max is THE current solution of reference among telepresence robots for service environments.